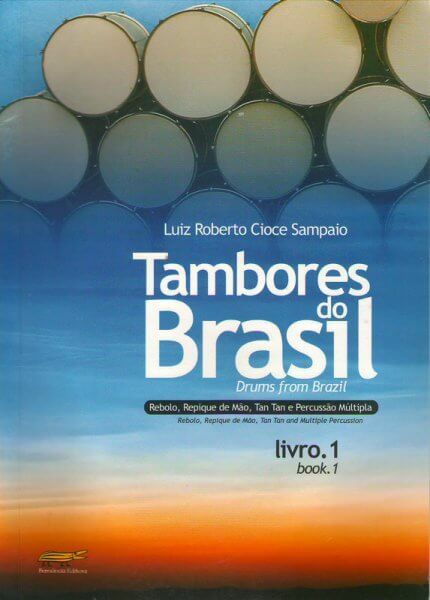 "Drums of Brazil – Book 1" focuses on the study of the instruments REBOLO, REPIQUE DE MÃO, TANTAN and “Multiple Percussion”; the combination of percussion instruments. The method implements exercises in hand coordination and independence, in order to develop the abilities required by these instruments. To diversify and facilitate learning, it is suggested the use of a “Rods” type drumstick, attached across the body of the instrument. This allows the development of certain abilities and techniques never before explored on such instruments. We name this effect “Rebolo de Esteira” or “TanTan de Esteira”, because it evokes the sound of the snare coils on a Snare Drum. Note that the REPIQUE DE MÃO does not permit this technique. The “Rods” type drumstick attachment is merely a suggestion; one may enjoy the book without it. The “Multiple Percussion” combination of instruments is made possible due to practical and contemporary musical syntax. The percussion student may try the mixing of instruments such as Caxixi and Tonton, Agogô and Atabaque, or one of the many combinations possible in percussion, or even in established configurations such as a pair of Congas or even a full Drum kit. An array of varied exercises is offered, with special attention given to hand coordination and independence, besides accents, subdivisions and polyrhythms. There is also a challenging exercise in alternating dynamics for the hands, which sharpens the student’s technique. 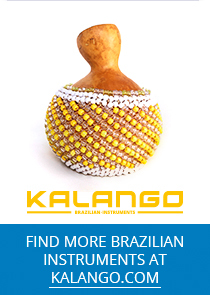 To further the development with the instrument, the book covers a good portion of Brazil’s varied rhythms such as Afoxé and Baião, besides the obvious Samba and Bossa Nova, as well as composite and irregular rhythms. To clarify eventual doubts,some exercises and rhythm samples taken from the book are available as videos on YouTube .